On this page you will find an ever growing catalog of Copper Conder Tokens and brief information pertaining to each coin, business, association, or person depicted on the coin if applicable. Conder Tokens, also known as 18th Century Provincial Tokens, are named after James Conder who was an early collector and cataloged these interesting coins. 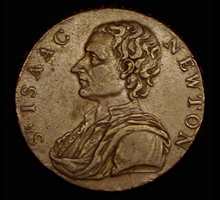 They are generally larger sized copper coins (usually pennies and half pennies) minted by towns, businesses, and organizations of all types to meet a need for low denomination coinage that was not being provided, not being minted in sufficient quantity by government, or not making it out to the small towns. These lower denominations were needed to pay workers and make change in an increasingly industrialized society. Thousands of varieties of tokens were minted, many are beautiful and intricate works of art.